Shallow to moderately deep water of boggy lakes. 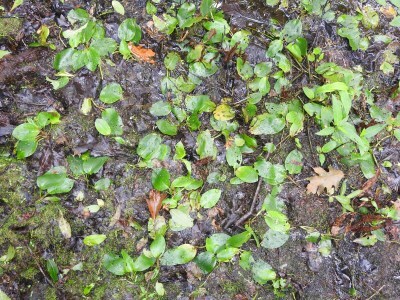 The black-spotted or mottled stem and petioles will distinguish this from Potamogeton natans, which also has cordate floating leaves, if the submersed leaves are not collected. MICHIGAN FLORA ONLINE. A. A. Reznicek, E. G. Voss, & B. S. Walters. February 2011. University of Michigan. Web. 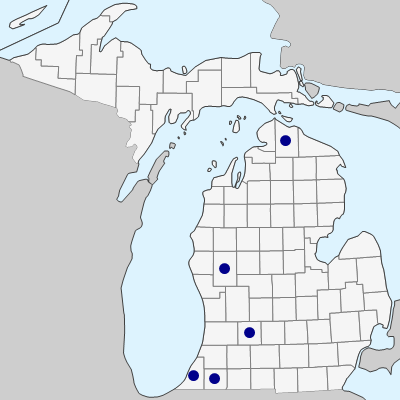 April 22, 2019. https://michiganflora.net/species.aspx?id=2336.